Although business studies are often associated with practical training and learning, still business students should have comprehensive theoretical knowledge about economy and society, and also other branches of academic knowledge related to economics. Likewise all other Humanities, economics also has its main goal: to describe and explain a given set of human activities as well as to predict the consequences of ongoing processes in society. In contrast with Natural sciences, economics is not concerned with natural laws or regularities, but rather with human constructions, such as monetary systems, trade, management, and so forth. Furthermore, some social issues are included here like poverty, equality, discrimination, the controversy “state vs. free market”, and many others. As you see, the topics can vary from purely theoretical to completely practical issues. In such a sense, an essay should not be underestimated. Probably you are given almost all the time to practical training, but do not forget that some experts in economics are the best paid in the world. Thus, you need to develop your writing skills since this will help you build a career, even if you think writing is pointless as regards of your personal career. Here are some instructions on how to write an economics essay which will shed some light on the problem. As it is with every other type of essay, an economics paper deals with a given issue (one of these is mentioned above, or other). Be careful while interpreting the title. What is required from you is to find a solution to the problem, or to explain why a given process is occurring. But you are also free to narrow down the scope of your work, or to offer alternative interpretation which stands far from the “mainstream” textbooks. We recommend you to follow the “middle way”: be original as long as you can supply your interpretation with logical arguments and reliable data. Do not argue in favor of “original” theses which, in their essence, are pure fiction. This is a preliminary gathering of resources and materials which will help you better understand the problem and will guide you through the sea of information. Use online sources, such as specialized databases (EconLit, part of EBSCO), but visiting your local library is a must. There are still some important books which are not available online, or accessible only after payment. What is more, most databases do not contain any books. Now you need to throw away the resources which you find unnecessary. Usually 10-15 % of the books we read at college appear to be useful for our study. However, others can also be important in sense that they contain references to titles which could be of use. These quotes will be important. Make sure you have noted the correct information about these citations (author, title, page). This is the plan of your future work. Put stress on the thesis and choose two, three or four arguments to support it. Always refer to a counter-thesis which you have to repudiate. Here you should merely extend the outline. State clearly your thesis within the context of your topic; define carefully the scope of your work and the standpoint you depart from. Connect every paragraph logically, so the reader will see the internal interdependence of the arguments and the thesis. The bibliography should be written according to a given academic standard (most students of economics employ the Chicago style). Writing an economics essay is far from easy. 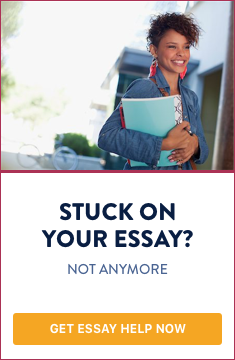 If you have just begun writing essays at college, consult your colleagues or instructors. In any case, the tips provided above will help you.